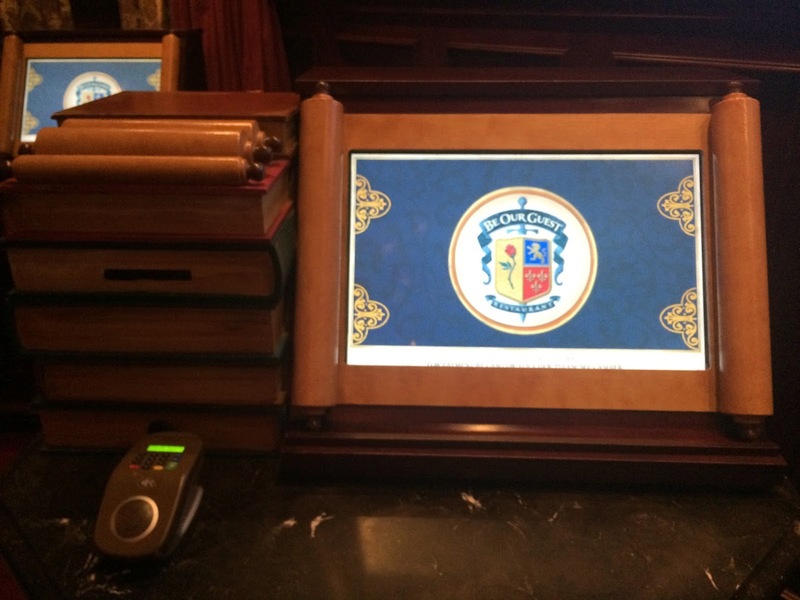 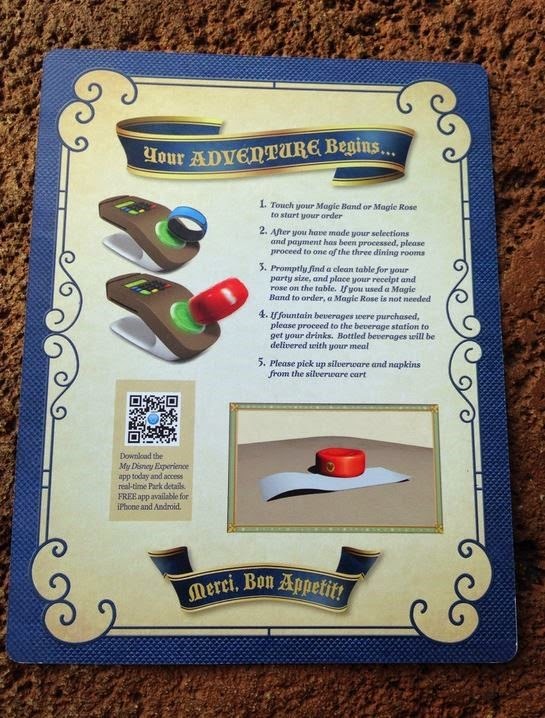 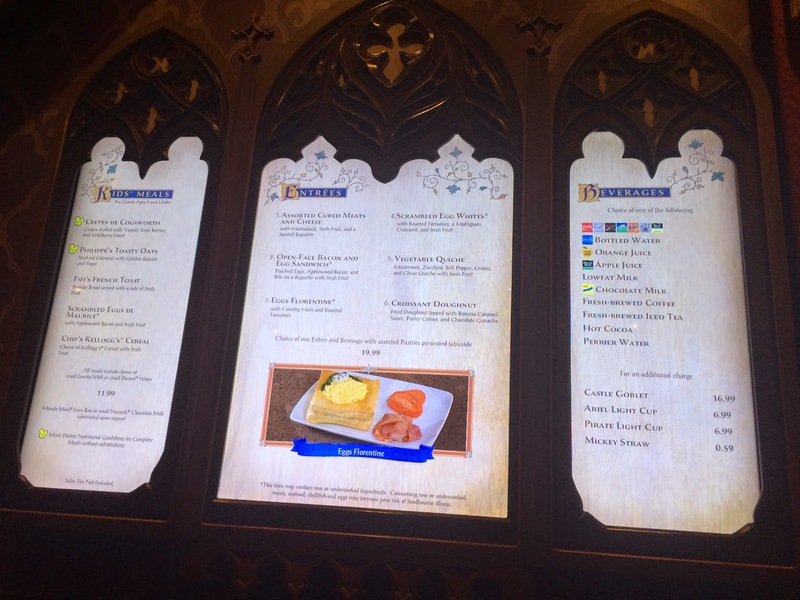 Let’s start our walk with the all-new breakfast at Be Our Guest restaurant in the Magic Kingdom! 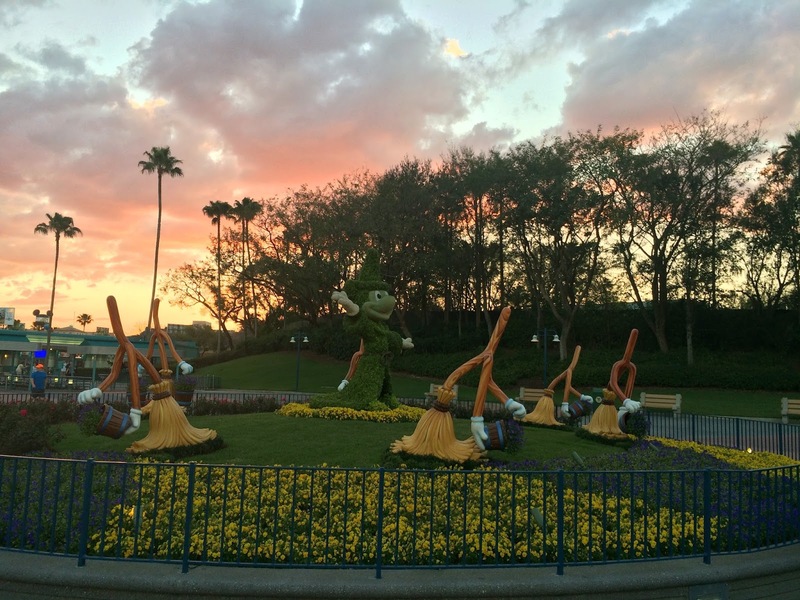 Disney is offering this test for a limited time – so we’d better “hop” to it! 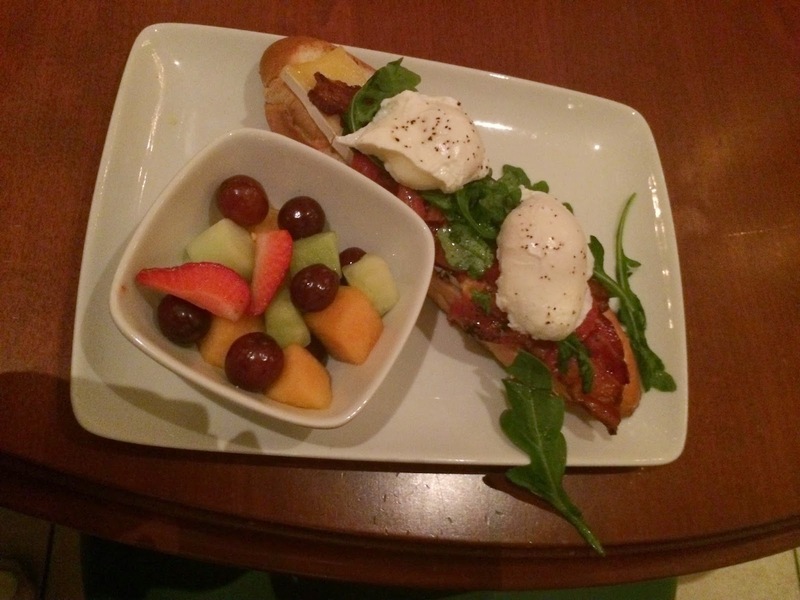 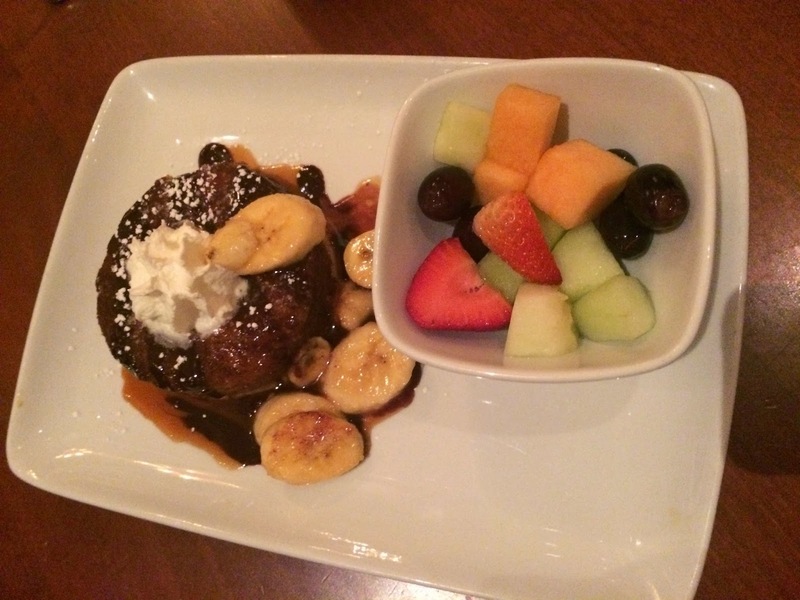 Much like lunch, Be Our Guest breakfast is quick service, but you still need an advance reservation. 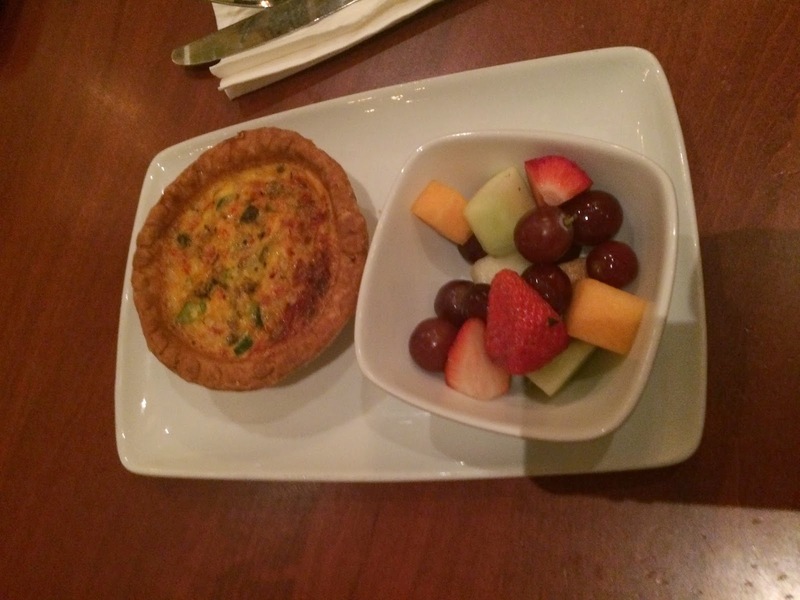 There’s a lot of controversy about spending $20 on breakfast – but you will not leave hungry I assure you! 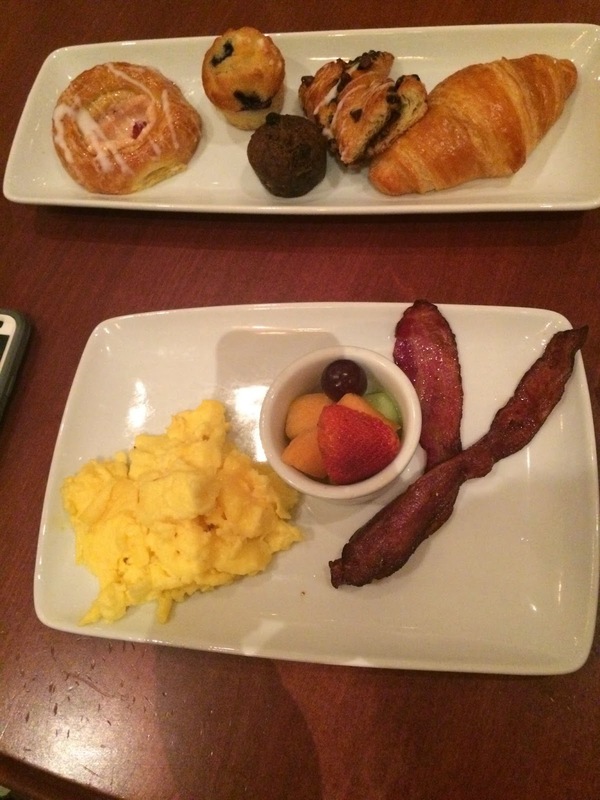 Every adult entrée comes with a platter of pastries! 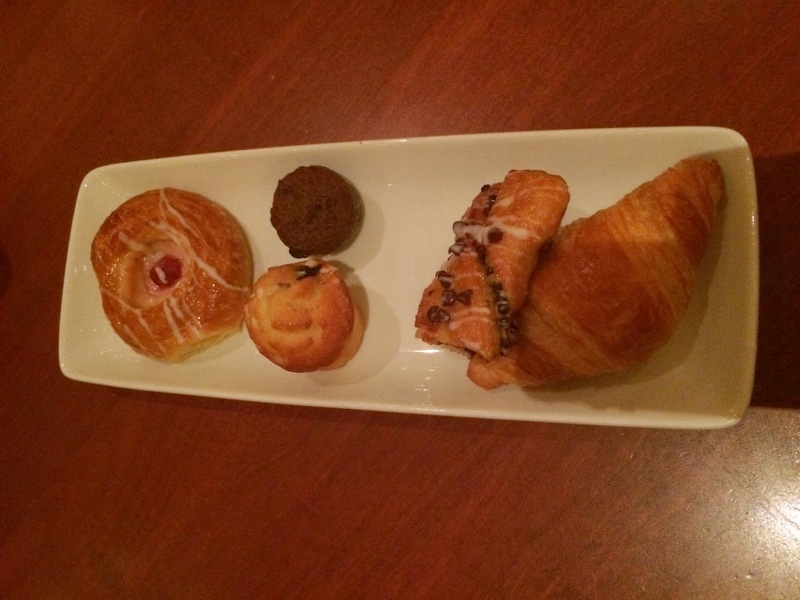 The pastry platter is not included on the kids’ menu. 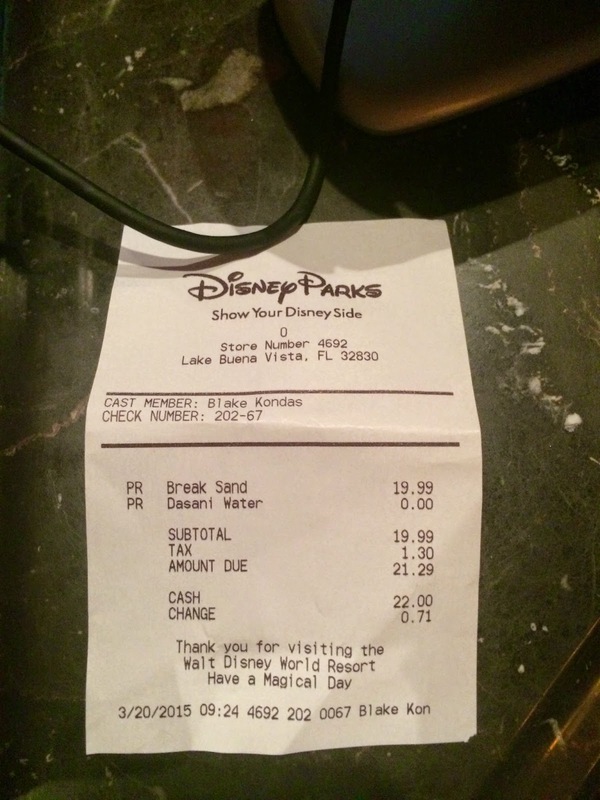 However, like at most quick service restaurants, you can order a child’s meal no matter how old you are. 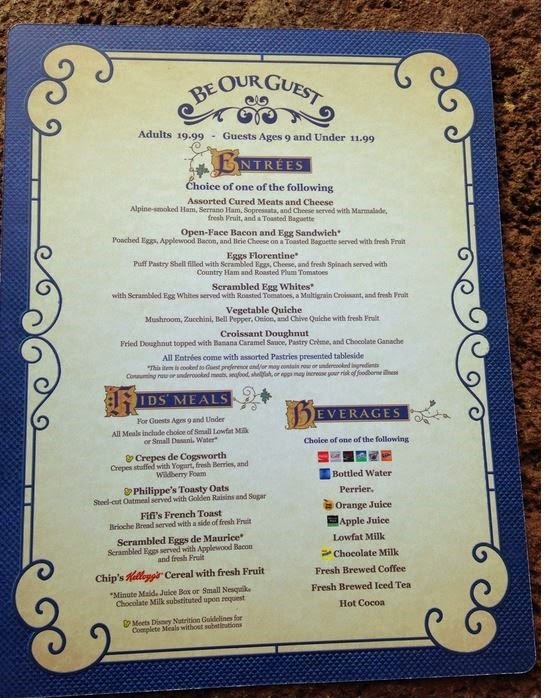 So, if there are 2 people in your party and one gets an adult meal, and one gets a child’s meal (like the bacon and eggs pictured here) you can share the pastries from the adult meal. 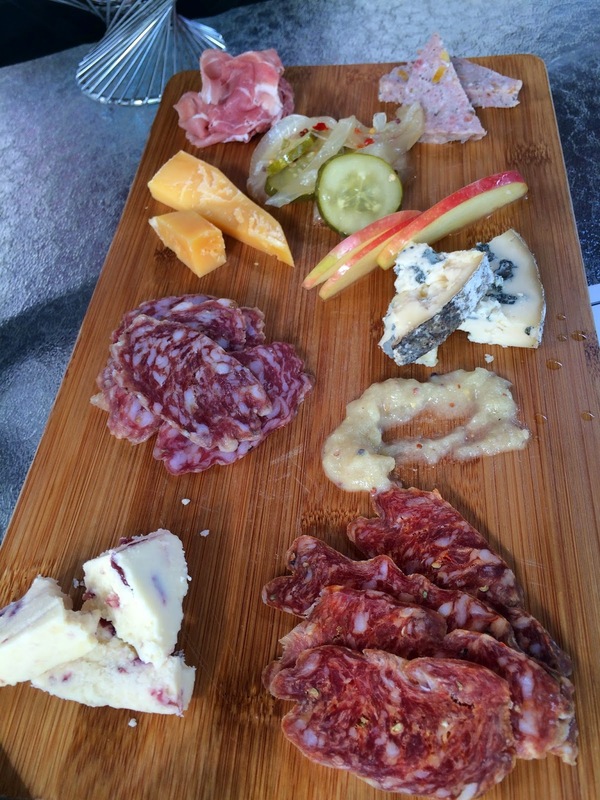 This brings your cost per person down quite a bit. 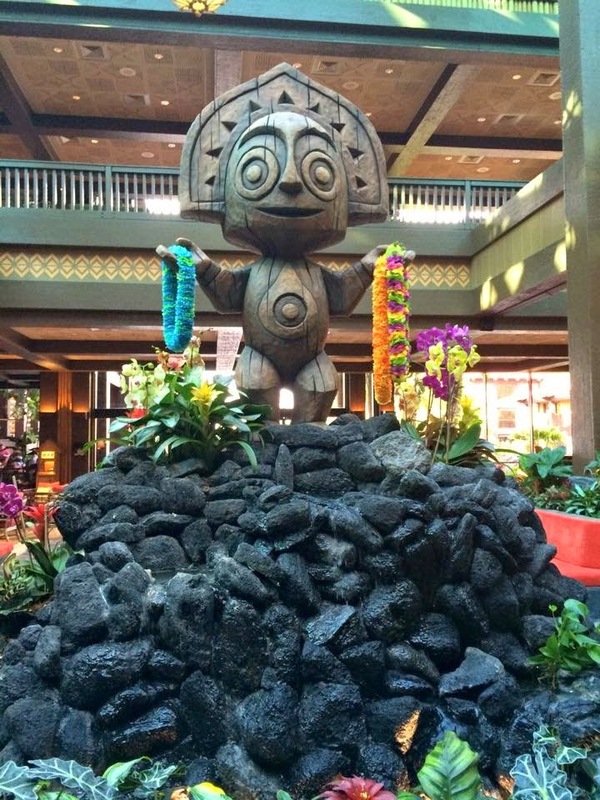 Now that we're full, let’s board the monorail and head on over to Disney’s Polynesian Village Resort. 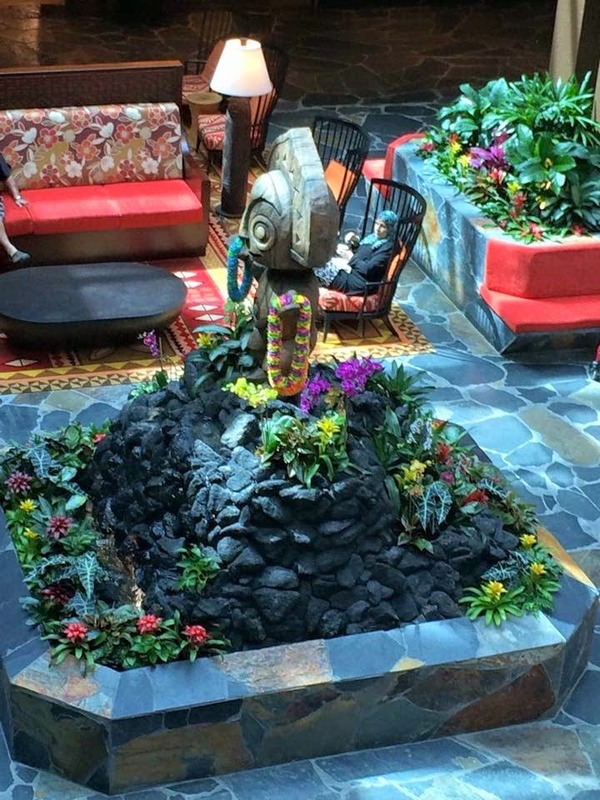 They have just completed the lobby's fountain refurbishment by installing the little Tiki Man on top of the new centerpiece. 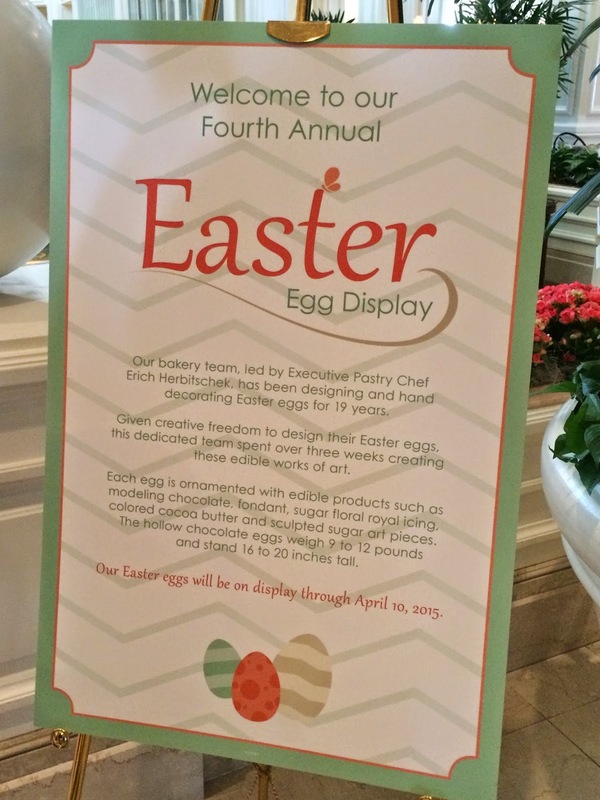 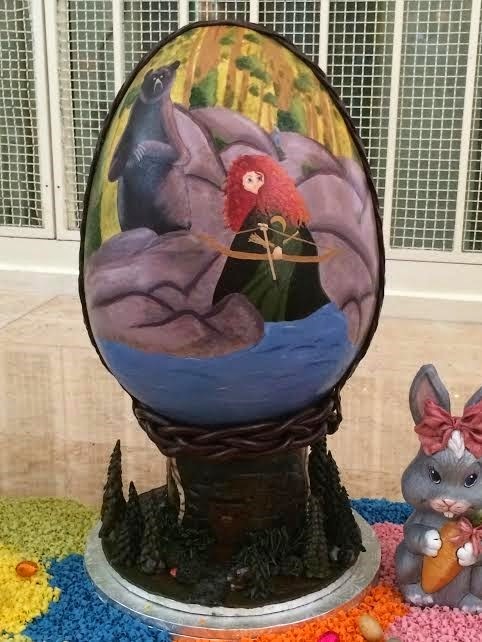 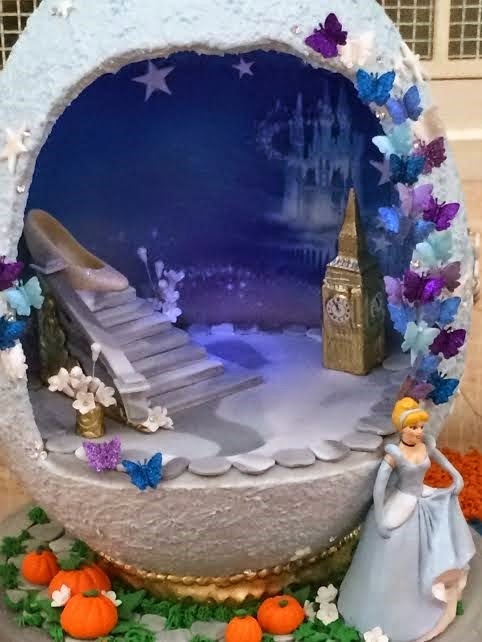 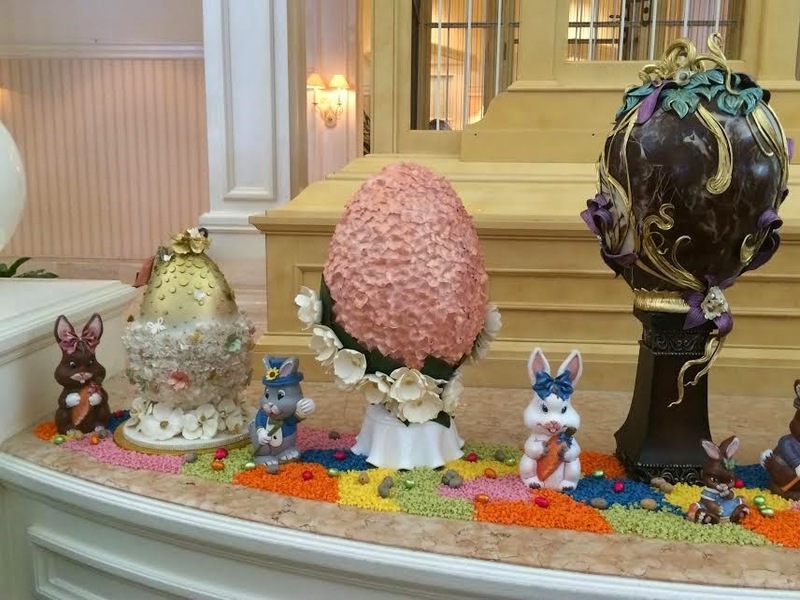 Now that we've seen the Poly's new lobby, let's go check out the Easter eggs on display at the Grand Floridian which are made completely out of chocolate! 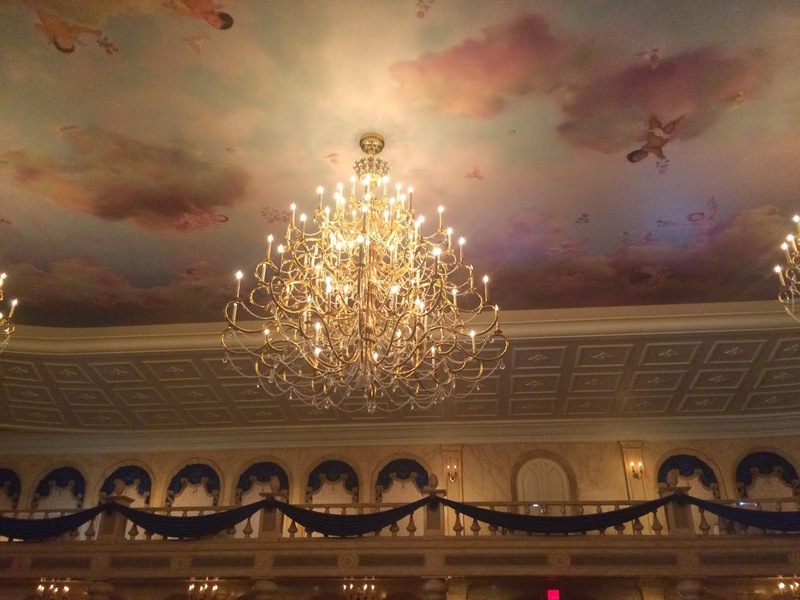 The smell as you walk into the lobby is absolutely wonderful. 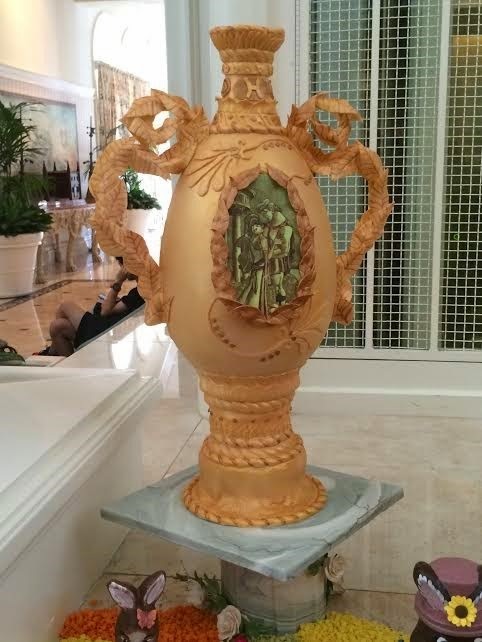 Just like they do every year, the chefs at Disney World have outdone themselves with the detailing and theming of these beautiful works of art. 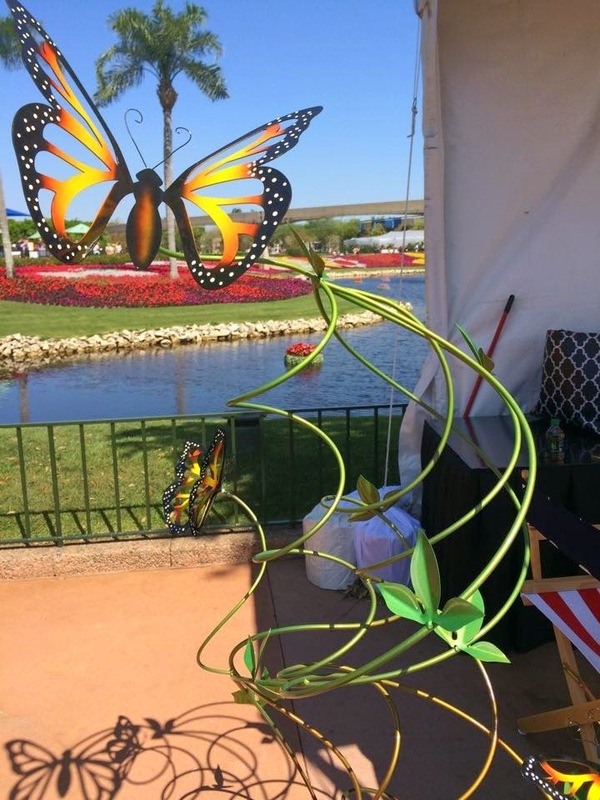 It’s Flower and Garden Festival time at Epcot. 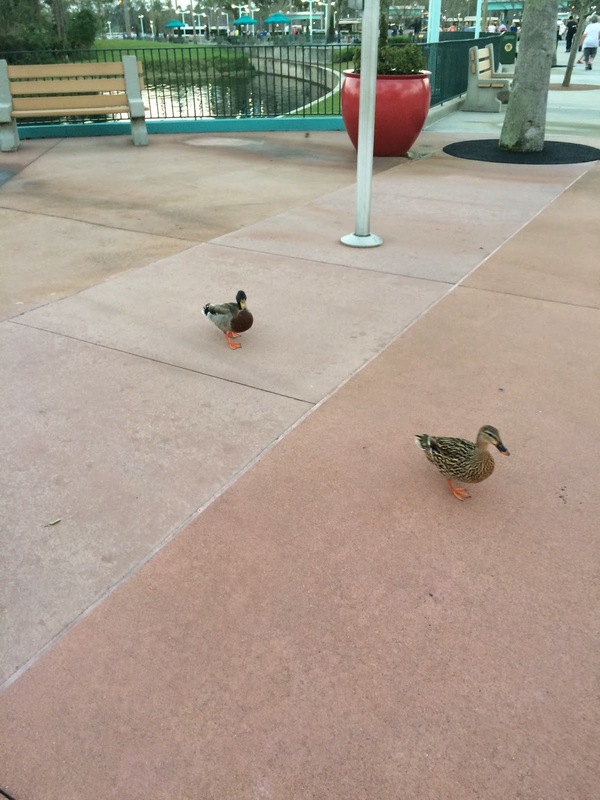 The new Dooneys are on display in the Festival Center! 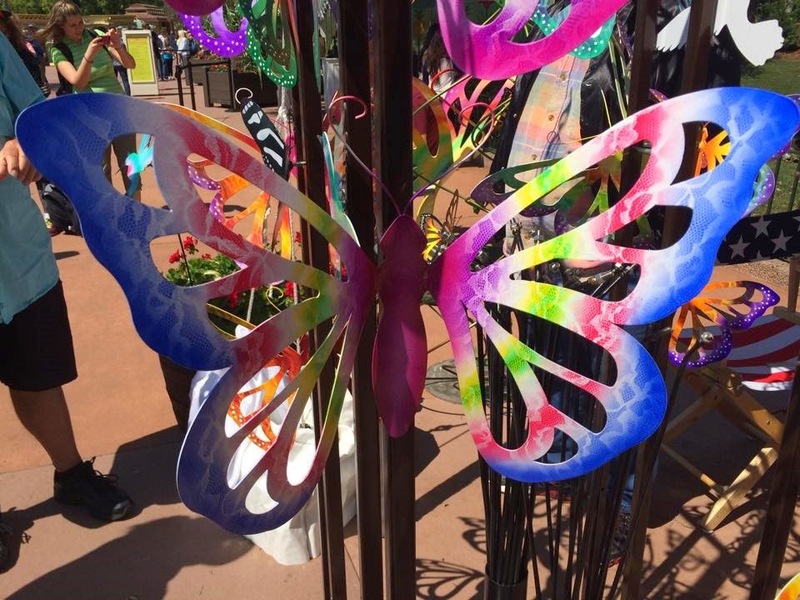 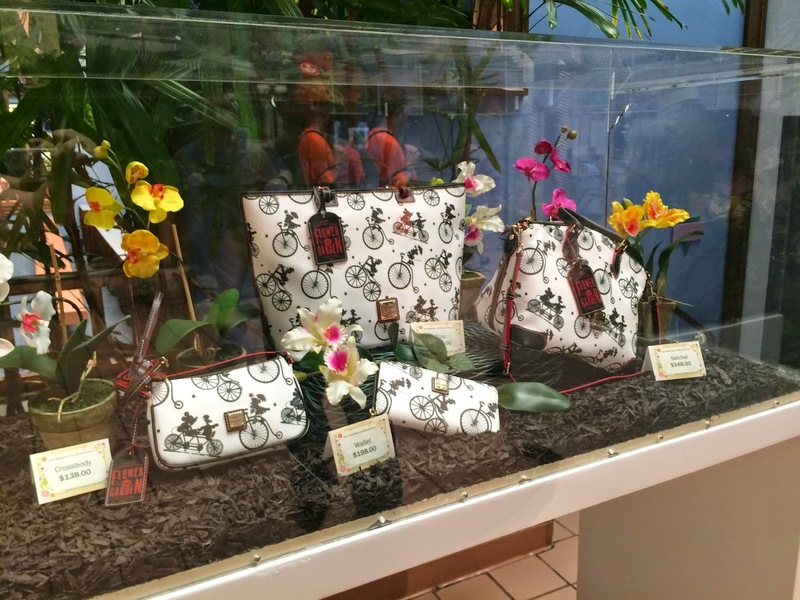 Another fun addition to the Flower and Garden Festival this year are the vendors along World Showcase! 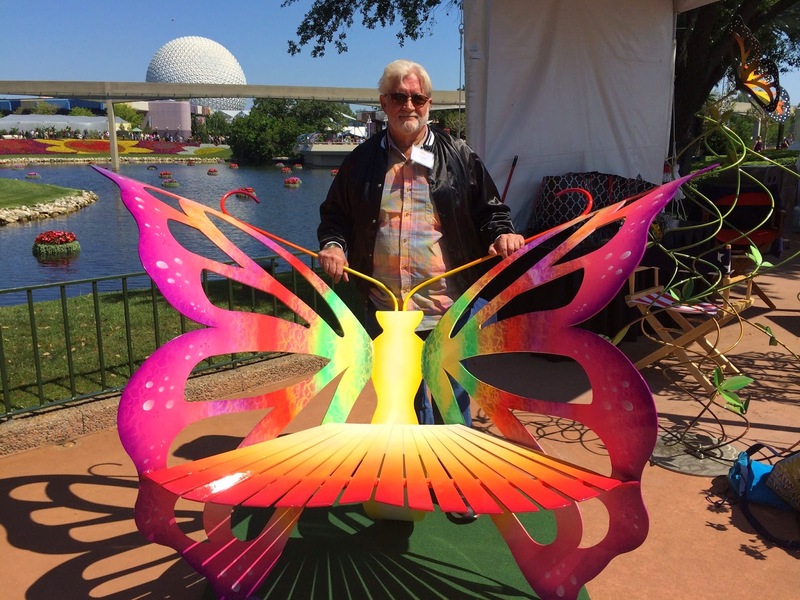 I really enjoyed meeting Chuck, who skillfully creates these amazing butterflies out of metal. 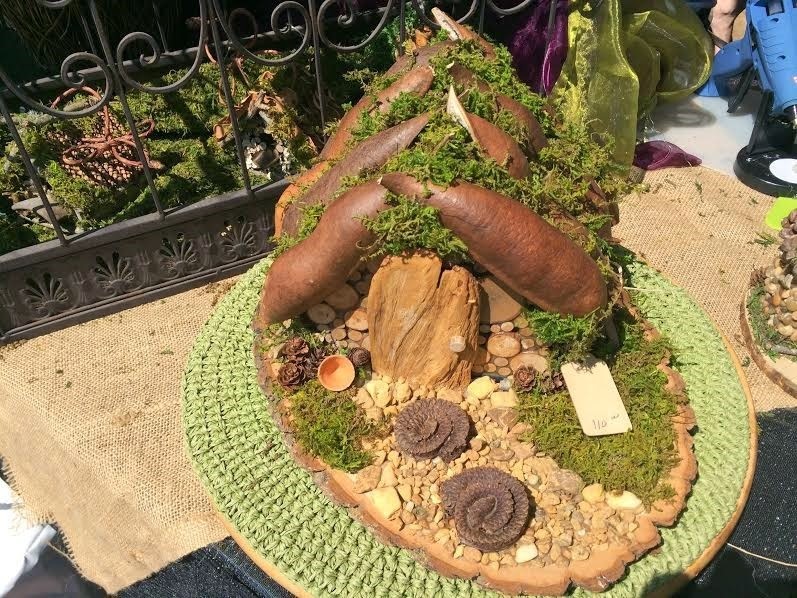 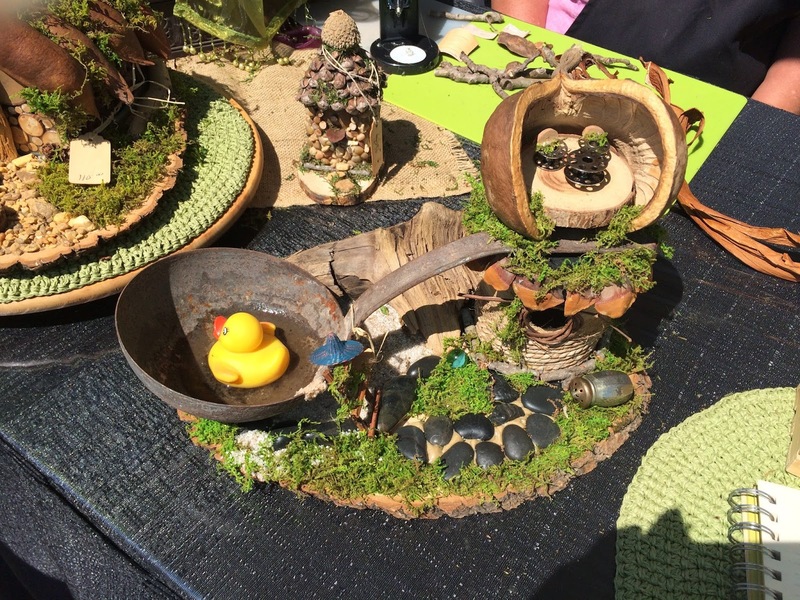 One of my favorite parts of the festival is the Tinker Bell Butterfly House, they sell tiny homes for the fairies that they place inside. 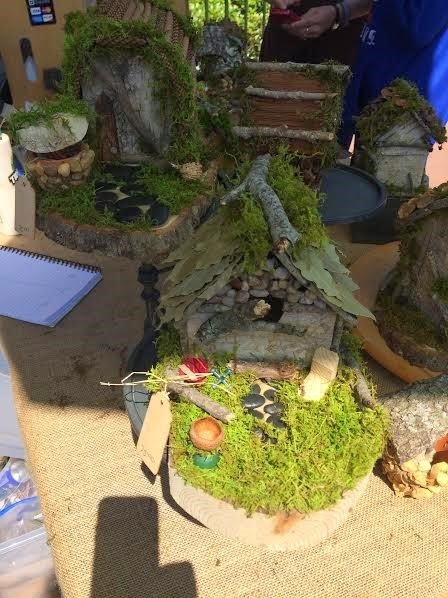 Ronda from the Fairy House Ladies, handcrafts each one with love, and now you can buy one at Epcot to take home with you. 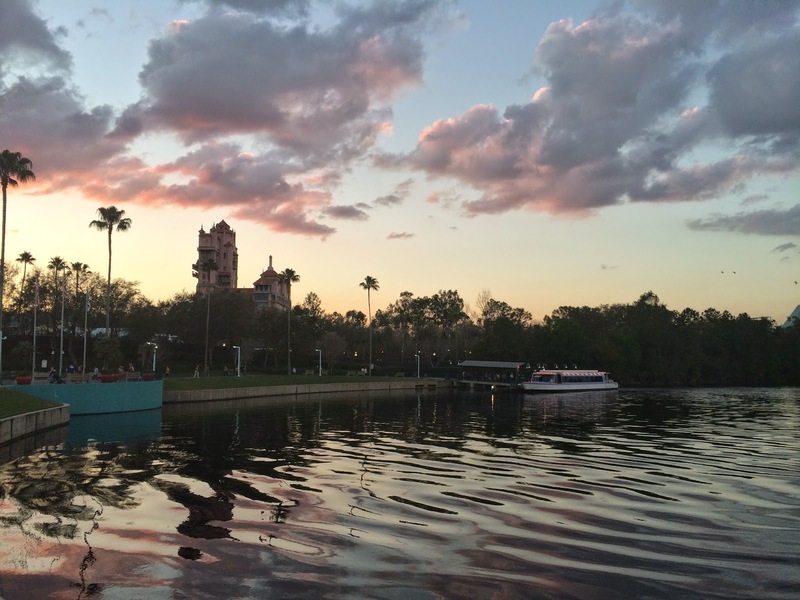 As the sun goes down, let’s head over to Hollywood Studios for a cocktail at the Brown Derby Lounge! 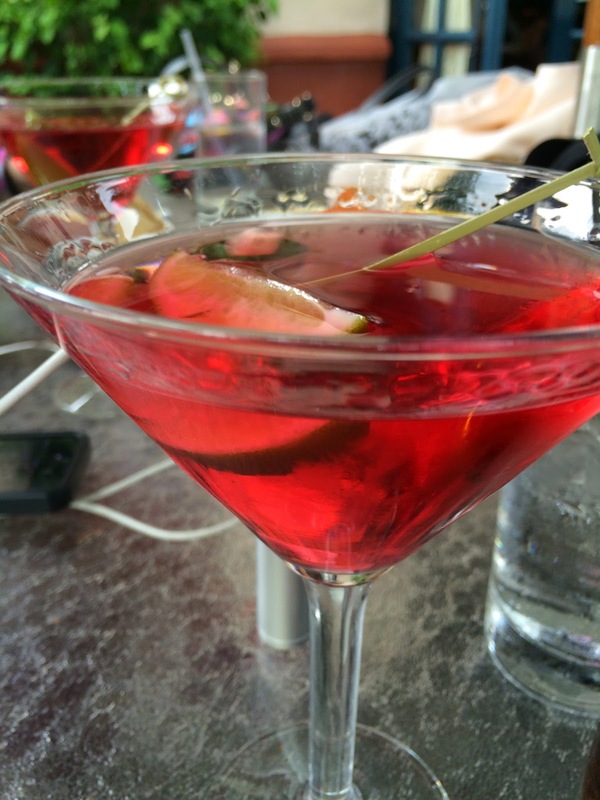 This particular drink goes well with the meat and cheese board. 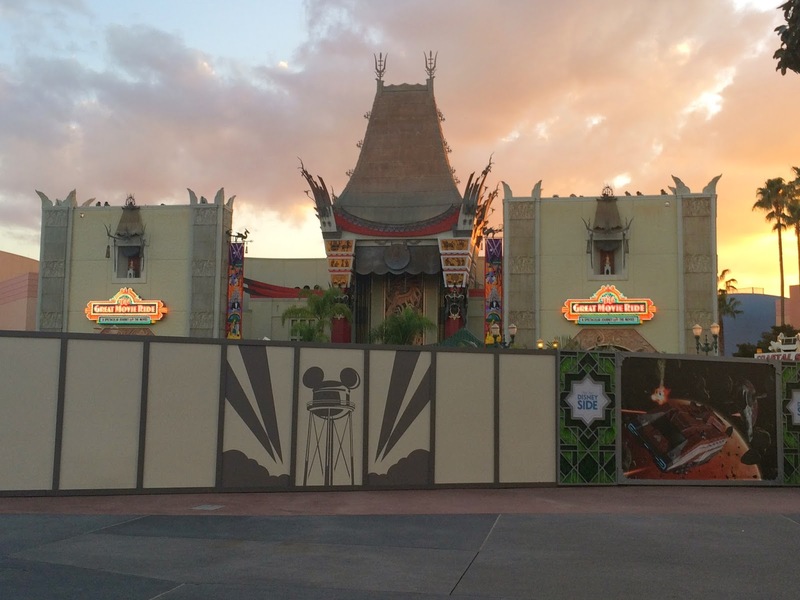 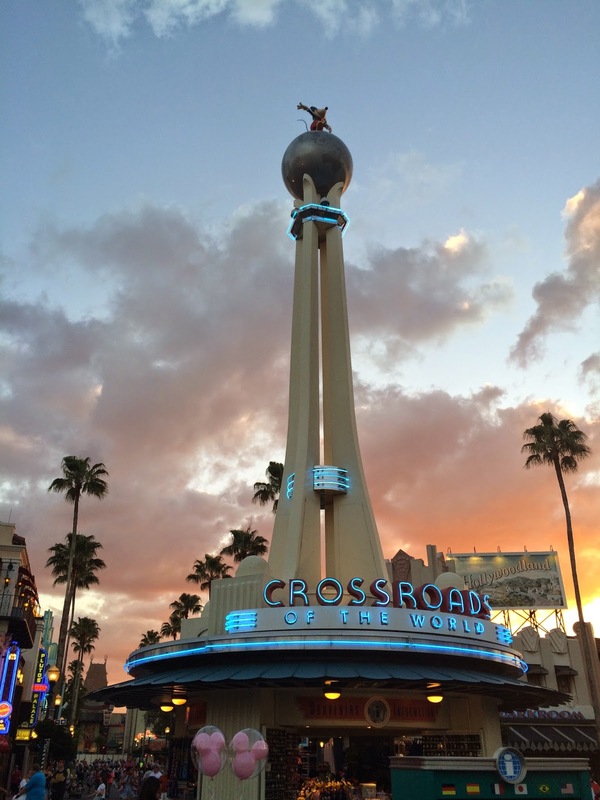 There’s nothing like a gorgeous sunset at Hollywood Studios! 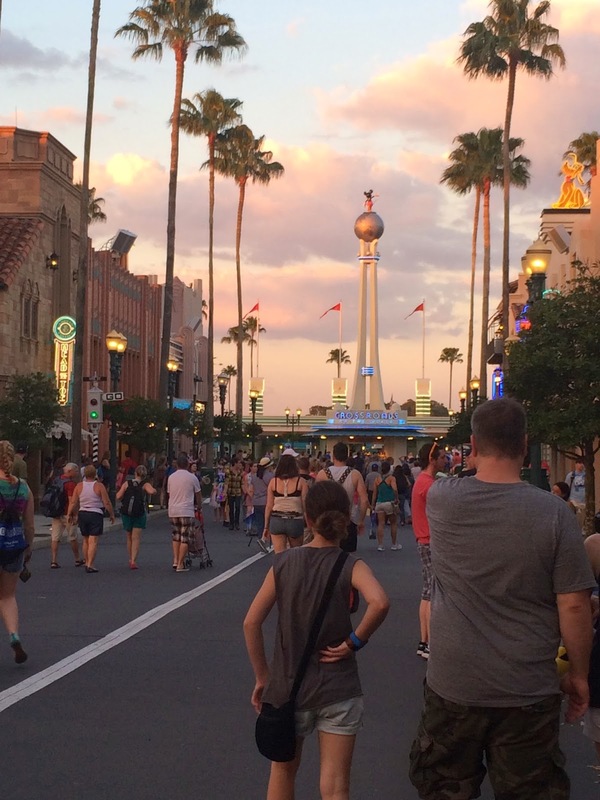 Take a look at Hollywood Boulevard – minus the hat. 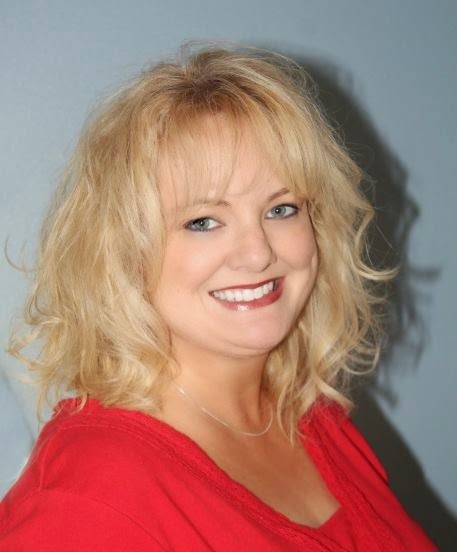 You can find all of Krista's articles here.